Come and join me for a day of family fun! 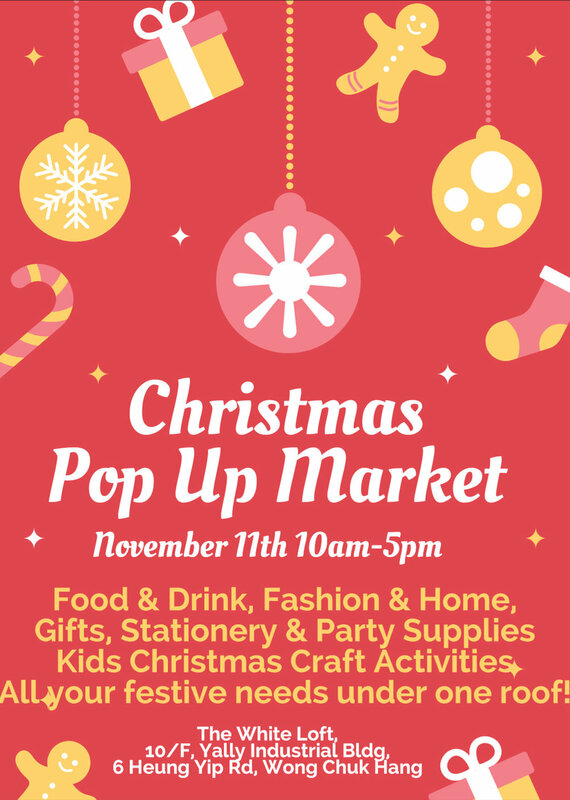 There will be Christmas craft activities for the kids, and you can enjoy a cheeky tipple while you shop at the Christmas PopUP at the White Loft in Wong Chuk Hang. It's a great opportunity to stock up on some fabulous gifts - whether they're for you or for Christmas!! You'll find Paper-Roses and our refreshingly different greetings cards, wrapping paper, gift tags and note cards among the select group of vendors.